I was super excited to photograph K’s 4th birthday party. Talking with her dad during our pre-session consultation, I knew that this was going to be a very, very fun day! 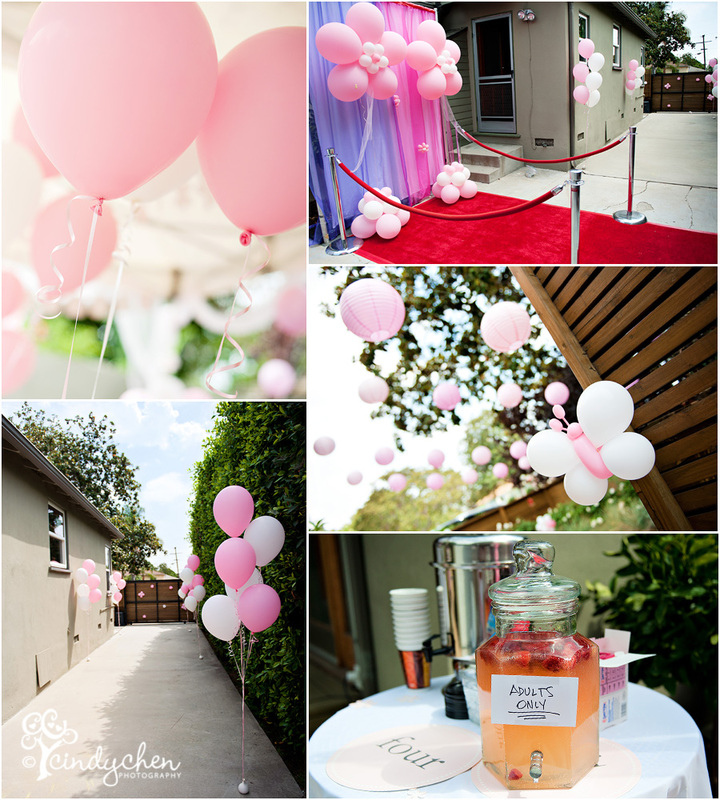 K’s birthday party had EVERYTHING for the little princess… pink, sparkles, and more pink! Upon arrival, each princess got to choose her very own princess dress, along with an accessory bag (filled with princess essentials, like a magic wand, tiara, jewels and other necessities). Next stop: hair and make up, which was provided by two talented hair and make-up artists. After a quick visit to the red carpet, the little princesses (and princes) were entertained with a princess magic show, balloon animals, face painting, and music. Lunch was delicious and couldn’t have been a more perfect banquet, with a medley of kid favorites… cheese pizza, chicken nuggets, quesadilla, and macaroni and cheese (all from Native Foods). Delish! And of course, a beautiful princess cake. Here are a few images from the party! I just loved all the pink details!! 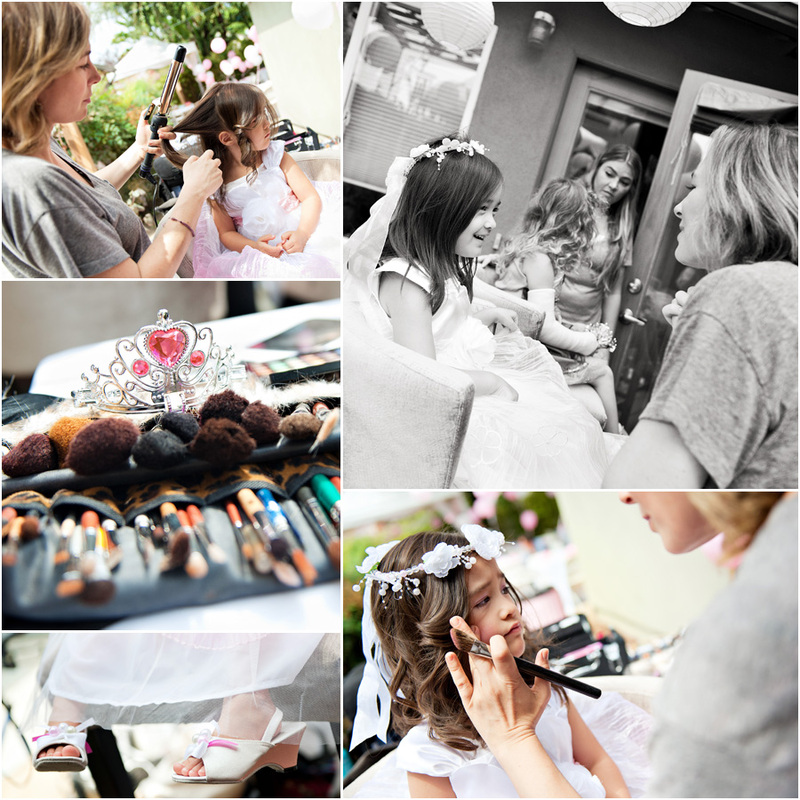 Getting ready for the royal celebration… hair and make-up time! Royal entertainment for the little princesses (and princes)! And last but not least, the beautiful birthday princess! 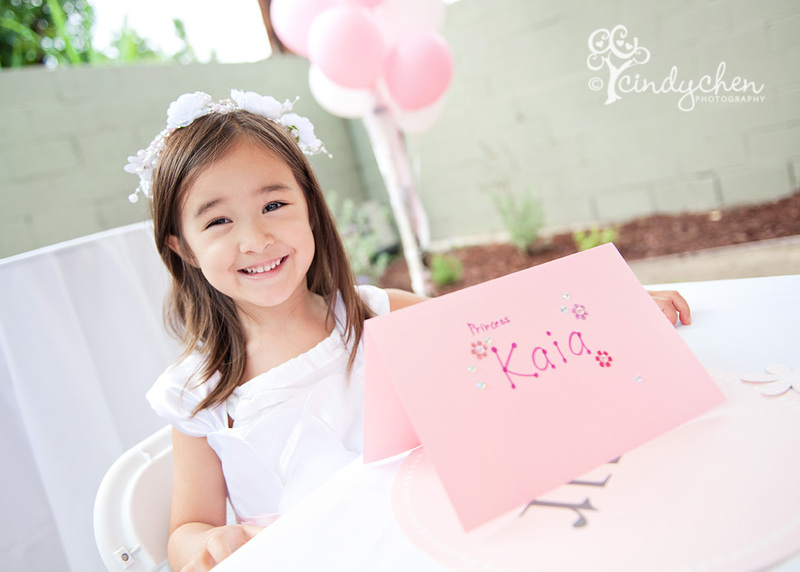 Thank you H family… It was an honor to photograph K’s very special 4th birthday party! Can’t wait to share the rest of the images with you… your gallery will be ready soon! What a fun day indeed! I love all the pink details you photographed, and that last image of the smiley birthday girl is simply gorgeous. What a special day! What a fantastic idea! The family was so smart to capture this! Beautiful pictures!